Thellmann, K., Golbon, R., Cotter, M., Cadisch, G., Asch, F. 2019. Assessing hydrological ecosystem services in a rubber-dominatedwatershed under scenarios of land use and climate change. 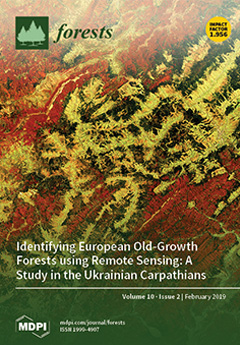 Forests, 10 (2), 176; DOI: 10.3390/f10020176. Kurtz, D. B., Giese, M., Asch, F., Windisch, S. H., Goldfarb, M. C. 2018. Saidia, P.S., Rweyemamu, C.L., Asch, F., Semoka, J.M.R., Kimaro, A.A., Germer, J., Graef, F., Lagweni, P., Kahimba, F., Chilagane, E.F. 2018. Thellmann, K., Cotter, M., Baumgartner, S., Treydte, A., Cadisch, G., Asch, F. 2018. Graef, F., Mutabazi, K.D., Sieber, S., Asch, F., Makoko, B., Bonatti, M., Brüntrup, M., Gornott, C., Herrmann, L., Herrmann, R. et al. 2018. Boron nutrition of rice in different production systems. A review. 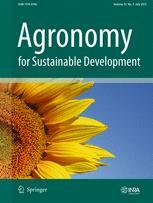 Agronomy for Sustainable Development, 38 (3), art. no. 25. Effects of organic manure and crop rotation system on potato (Solanum tuberosum L.) tuber yield in the highlands of Awi Zone. 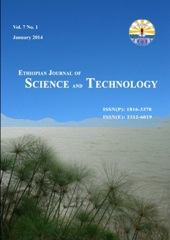 Ethiopian Journal of Science and Technology 11, 1-18. Hartmann, J., Asch, F. 2018. Micro-method to determine iron concentrations in plant tissues using 2,2' bipyridine. Journal of Plant Nutrition and Soil Science, DOI: 10.1002/jpln.201700433. Growth and biomass yield response of clover (Trifolium decorum) to preceding crop and organic treatment in the highlands of Awi Administrative Zone, Ethiopia. Ethiopian Journal of Science and Technology 10, 151- 164. Cotter, M., Asch F., Hilger T., Rajaona, A., Schappert, A., Stuerz, S., Yang, X. 2017. Thermal stress impacts reproductive development and grain yield in rice. Plant Physiology and Biochemistry 115, 57-72. Leaf area dynamics and aboveground biomass of specific vegetation types of a semi-arid grassland in southern Ethiopia. 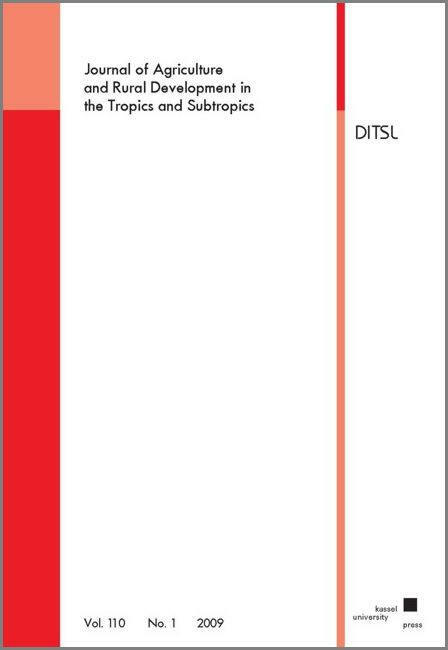 Tropical and Subtropical Agroecosystems 19, 253-262. High impact grazing as a management tool to optimize biomass growth in northern Argentinean grassland. Ecological Indicators 63, 100-109. Photosynthesis and Remobilization of Dry Matter in Wheat as Affected by Progressive Drought Stress at Stem Elongation Stage. Journal of Agronomy and Crop Science 202, 292-299. DOI: 10.1111/jac.12160. Associations Between Species Distribution Patterns and Soil Salinity in the Songnen Grassland. Arid Land Research and Management 29, 199-209. Seed coating reduces respiration losses and affects sugar metabolism during germination and early seedling growth in cereals. 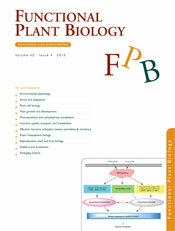 Functional Plant Biology 42, 209-218. Relationship between vegetation cover types and soil organic carbon in the rangelands of Northern Kenya. Livestock Research for Rural Development. Volume 26 (9), Article #162. Leaf area development in response to meristem temperature and irrigation system in lowland rice. Field Crops Research 163, 74-80. Canopy microclimate and gas-exchange in response to irrigation system in lowland rice in the Sahel. Field Crops Research 163, 64-73. Yield components in response to thermal environment and irrigation system in lowland rice in the Sahel. Field Crops Research 163, 47-54. Graef, F., Sieber, S., Mutabazi, K., Asch, F., Biesalski, H.K., Bitegeko, J., Bokelmann, W., Bruentrup, M., Dietrich, O., Elly, N., Fasse, A., Germer, J., Grote, U., Herrmann, L. et al. 2014. 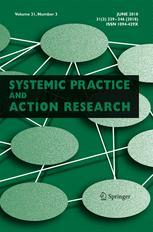 Framework for participatory food security research in rural food value chains. Global Food Security 3, 8-15. Exploratory survey on climate change effects, value chain processes and supportive services: Case study from Potato based farming systems of AWI-Zone, Ethiopia. International Journal of Agriculture Innovations and Research 2 (4), 615-621. Characterizing farming systems around Kakamega Forest, Western Kenya, for targeting soil fertility-enhancing technologies. Journal of Plant Nutrition and Soil Science 176, 585-594. Leaf gas exchange characteristics of Jatropha as affected by nitrogen supply, leaf age, and atmospheric vapour pressure deficit. Journal of Agronomy and Crop Science 199, 144-153. 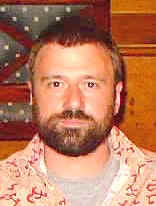 Engel, K., Asch, F., Becker, M., 2012. Potential of Waste Water Use for Jatropha Cultivation in Arid Environments. Agriculture 2012, 2, 376-392. Shrestha, S., Asch, F., Dusserre, J., Ramanantsoanirina, A., Brueck, H., 2012. Shrestha, S., Brueck, H., Asch, F., 2012. Abdulai, A. L., Kouressy, M., Vaksmann, M., Asch, F., Giese, M., Brueck, H., 2012. Yield stability of photoperiod-sensitive sorghum [Sorghum bicolor L. (Moench)] accessions under diverse climatic environments. International Journal of Agricultural Research 7, 17-32. Effects of composition and share of seed coatings on the mobilisation efficiency of cereal seeds during germination. 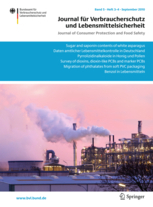 Journal of Agronomy and Crops Science 198, 81-91 - DOI: 10.1111/j.1439-037X.2011.00490.x. Effect of pruning history on growth and dry mass partitioning of Jatropha curcas L. on a plantation site in Madagascar. Biomass and Bioenergy 35, 4892-4900. Bodenmelioration und Anbauverfahren für trockenheitsgefährdete Standorte (BAtros). Cottbuser Schriften zur Ökosystemgenese und Landschaftsentwicklung 10. BTU Cottbus, Cottbus. Pp 120. Cropping calendar options for rice – wheat production systems at high-altitudes. Field Crops Research 121, 158-167. Physiological responses of two Turkish rice (Oryza sativa L.) varieties to salinity. Turkish Journal of Agriculture and Forestry 34 (6), 451-459. Plant–rhizobacteria interactions alleviate abiotic stress conditions. Plant, Cell, and Environment 32, 1682-1694. Variation in salt tolerance within a Georgian wheat germplasm collection. 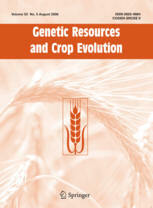 Genetic Resources and Crop Evolution, 56 (8), 1125-1130. Decomposition of organic substrates and their effect on mungbean growth in two soils of the Mekong Delta. Journal of Agriculture and Rural Development in the Tropics and Subtropics 109, 95-107. Pflanzliche Reaktionen auf abiotischen Stress unter variablen Umweltbedingungen. Habilitationsschrift. Landwirtschaftliche Fakultät, Rheinische Friedrich-Wilhelms-Universität, Bonn. Pp 75. A quick and efficient screen for resistance to iron toxicity in lowland rice. J. Plant Nutri. Soil Sci. 168, 764-773. Iron toxicity in rice - conditions and management concepts. J. Plant Nutri. Soil Sci. 168, 558-573. Drought-induced changes in rooting patterns and assimilate partitioning between root and shoot in upland rice. Field Crops Res. 93, 223-236. Soluble Invertase Expression Is an Early Target of Drought Stress during the Critical, Abortion-Sensitive Phase of Young Ovary Development in Maize. Plant Physiol. 130, 591-604. Drought-induced changes of xylem pH, ionic composition, and [ABA] act as early signals in field-grown maize (Zea mays L.). Journal of Experimental Botany 53, 251-263. Ovary abscisic acid concentration does not induce kernel abortion in field-grown maize subjected to drought. European Journal of Agronomy 15, 119-129. Responses of field-grown irrigated rice cultivars to varying levels of floodwater salinity in a semi-arid environment. Field Crops Research 70, 127-137. Varietal differences in specific leaf area: a common physiological determinant of tillering ability and early growth vigor? In: Rice research for food security and poverty alleviation. Proceedings of the International Rice Research Conference, 31 March - 3 April 2000, Los Banos, Philippines. EDS. Peng, S. Hardy, B. Pp 95-108 (692). International Rice Research Institute, Los Banos, Philippines. Salinity increases CO2 assimilation but reduces growth in field-grown, irrigated rice. Plant and Soil 218, 1-10. Reserve mobilization, dry matter partitioning and specific leaf area in seedlings of African rice cultivars differing in early vigor. Field Crops Res. 62, 191-202. Phenological Responses of Oryza sativa, O. glaberrima and Inter-specific Rice Cultivars on a Toposequence in West Africa. 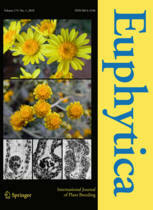 Euphytica 110, 109-126. Sodium and Potassium Uptake of Rice Panicles as Affected by Salinity and Season in Relation to Yield and Yield Components. Plant and Soil. 207, 133-145. Physiologische Faktoren der Salzresistenz bei Reis (Oryza sativa L.). Dissertation, University of Hamburg, pp. 197. Physiological Stresses of Irrigated Rice caused by Soil Salinity in the Sahel. In: Irrigated Rice in the Sahel: Prospects for Sustainable Development. Eds. K. M. Miezan, M. C. S. Wopereis, M. Dingkuhn, J. Deckers, T. F. Randolph. Pp 247-273. West Africa Rice Development Association, BP 2551, Bouaké 01, Cote d'Ivoire.